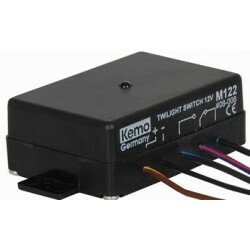 It is called a 'Twilight Switch" by the manufacturer. The control circuit must be powered by 11V to 14VDC, power consumption is only 2mA / 35mA (relay off/on) so it can be powered by a small 12 volt battery. The maximum power supply that can be controlled by the photo switch is 25 Volts / 3 Amps. 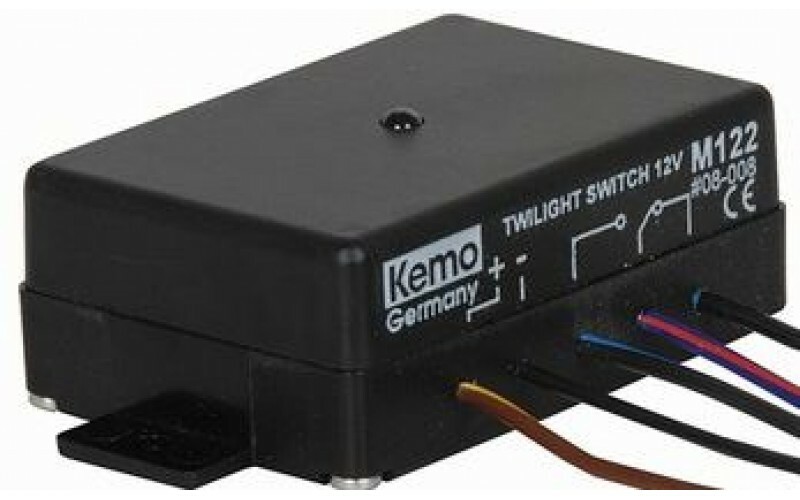 The switching relay has a delay of approximately 3 to 4 seconds after the photocell has registered a change in light level. Common uses are for garden lighting and security applications. The sensitivity of the optical sensor (the clear lens on the device) can be altered by partially covering it. The module should be mounted in a dry place (e.g. roof projection) in such a manner that the lamp which is turned on by the crepuscular switch does not illuminate the crepuscular switch itself! In this case the crepuscular will switch ON and OFF constantly! A switching delay of approx. 3…4 seconds is installed to avoid that the crepuscular switch reacts to short changes of the lighting conditions (e.g. passing headlamps). The device is operated with an operating voltage of 12 V= (either a 12 V car battery or a stabilised 12 V power supply). The device has a relay contact 1 x SWITCH OVER. So you may either switch a lamp or device on at dusk or switch it off! Please make sure that the power consumption of the connected devices is < 3 ampere (maximum breaking capacity of the relay). If you think that the module switches too late (approx. 45 lux), you may change the switching threshold by covering the optical sensor (the clear lens on the device) partially with opaque adhesive tape.